Here's a new commish featuring the scramble city gestalt/ team from the headmasters era. thanks to Josh Perez for the excellent colors! 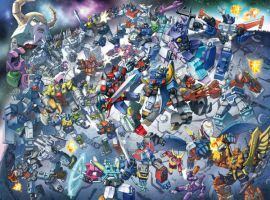 A team of Autobots created without the aid of Vector Sigma by the leader of ANOTHER team created without the aid of Vector Sigma. You don't see these guys too much, mainly because they debuted late into season 3 of G1, when many felt the series went downhill. Childhood memories are flooding back! All I can say is thank you, thank you. 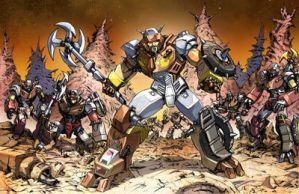 The sons of Grimlock. Lovin' this piece. Would like to see this in the cartoon colors. The Technobots are the best! These guys are my favorite combiner team. My favorite combiner. Dan and Josh did an incredible job. A commission... perhaps from Hasbro... to promote upcoming figures in the Combiner Wars toyline? 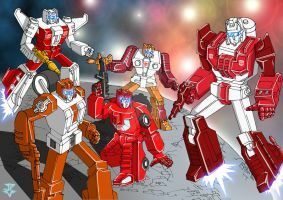 Computron was my first Transformers at child and Technobots are always be my favorite squad! Calculation and conclusion of artwork: 100% excellente! 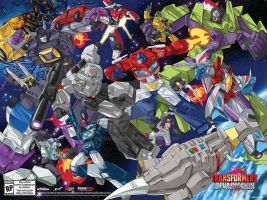 Excellent line art and wonderful toy colours! These guys were like badass Wreckers without being Wreckers.